A complete reference guide to writing fiction that takes place in the supernatural south, all faithful to the real history, culture, legends and beliefs of the American old South. Contains chapters on the mundane history, culture and geography of the South; on the supernatural beliefs of the South; and on supernatural protagonists. 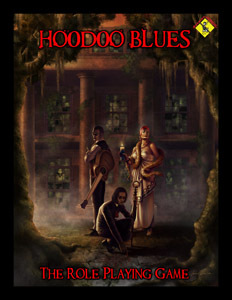 A note to customers of Vajra Enterprises’ role playing game books: the Writer’s Guide to the Supernatural South andHoodoo Blues the Role Playing Game contain much of the same information. The Writer’s Guide is geared specifically for fiction authors while Hoodoo Blues contains roleplaying stats and rules.